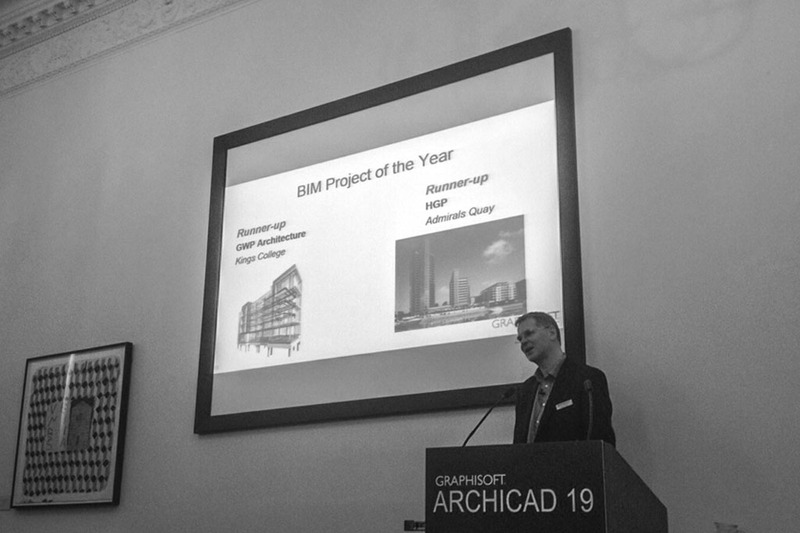 GWP Architecture were invited to attend the Archicad 19 launch and inaugural Graphisoft Archicad awards at London’s Carlton House Terrace on Wednesday 3rd June. The award winning BIM software has been used by staff at GWP for 20 years and the latest advantages and updates were demonstrated at the event attended, by the countries top architectural users. GWP Architecture’s King’s College Champion Hill Scheme was also recognised in this years ‘BIM Project of the Year’ award category. GWP have also been fortune to ‘beta test’ the latest ’19’ version of the software for the last few months as part of our work with the Archicad Users Group.